Bulky packaging is unnecessary when it comes to hanging your products in neat and orderly product displays. The less material you use to hang you packages, the less money you’re going to have to spend on hanging supplies like hang tabs and display strips. 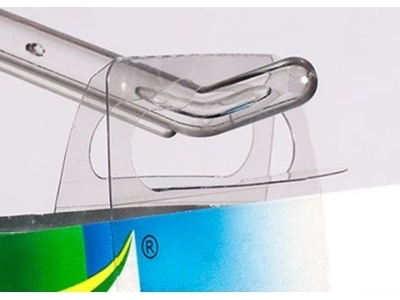 The right hang tab means that you will be able to easily cross sell your products, increase your brand awareness, increase revenue through an increase in impulse buying, reduced cost for packaging, and reduced shelf space. At Do-It Corporation, we offer a wide variety of hang tabs, display strips, and other product display solutions!